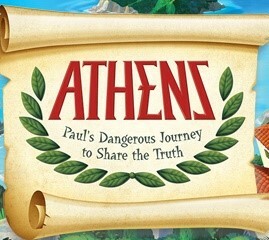 PVBC’s 2019 Vacation Bible School theme is ATHENS: Paul’s Dangerous Journey to Share the Truth. The dates for VBS are Monday, June 17 through Friday, June 21 from 6:00 – 8:30 pm. The children will be sharing in a VBS presentation at the 11:00 am service on Sunday, June 23. Use this form to register your child or download the Register-form and bring it with you. Please enter a value less than or equal to 21. I give authorization for my child to have his/her picture taken by camera, cell phone, or video. I authorize Pleasant Valley Baptist Church to use any pictures of my child for flyers, newspaper, Facebook, or any other form of advertising events.